xquisite bookends,Each has two,Width 20cm/7.8in, height 17cm/6.8in, base 12.5cm/4.9in. The bottom of the bookends is very large, there are 4 non-slip mats, it is not easy to dump, it can protect the desktop. 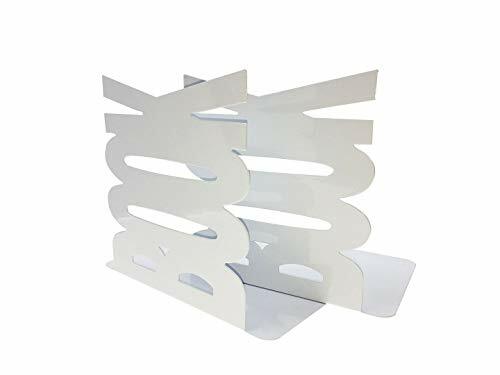 The Bookend's metal plate is thick and not easily bent or broken. The shape of "book" is more intuitive. This is my book. Decorate your study room and Keeps your books organized and in view. If you have any questions about this product by Ahkea, contact us by completing and submitting the form below. If you are looking for a specif part number, please include it with your message.